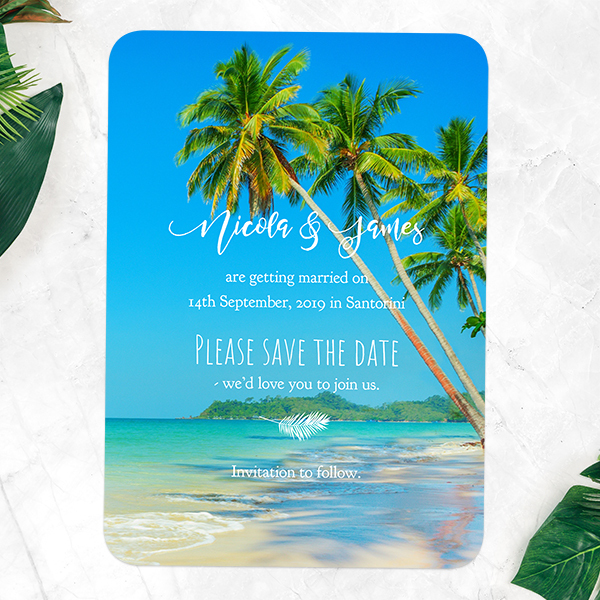 Dreaming of a tropical beach wedding in the sun? 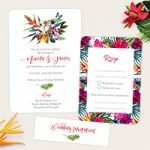 There are so many themes you can use for your exotic destination wedding. For some inspiring ideas, read on! A modern tropical wedding lets the beauty of your surroundings shine. 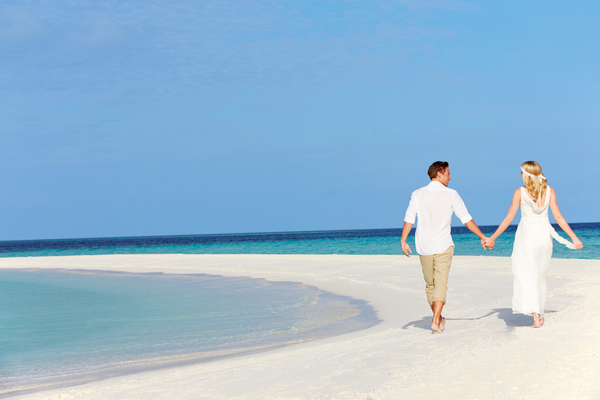 Pair the golden sands and blue skies with a subtle wedding palette, like fresh white and sand beige. Minimalist decorations will also add to this theme. You can also break from tradition by using bold wedding stationery to make a statement. Leave behind the lounge suits and trailing dresses to make the most of the sun. A dress code that favours sandals and sunglasses will be appreciated by guests, but it will also give your wedding an on-trend, contemporary vibe. Brides can indulge in a airy mid-length dress that's as practical as it is pretty. Beach flowers are bright and beautiful, so why not make them the main focus for your wedding theme? There's no end to the variety of exotic botanical blooms you can add to your special day. 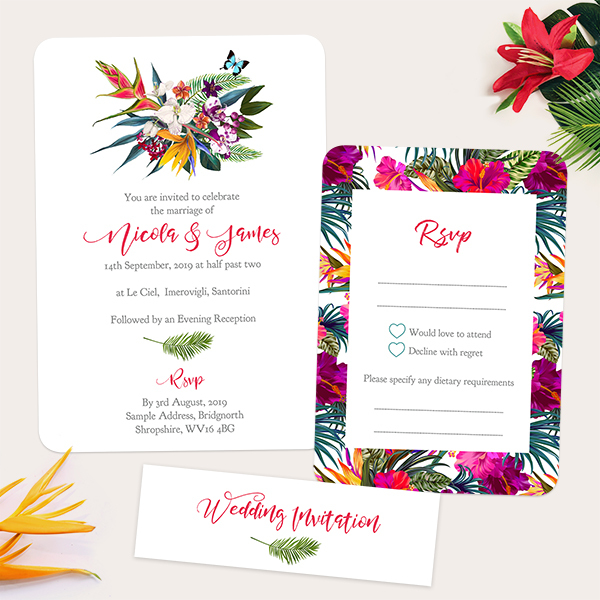 Start things off with some floral invitations. Fill your venue with tropical foliage, and contrast with wooden decorations to make the colours pop. They're also the obvious choice for your bridal bouquet! Choose flowers that are in-season and native to the country where you're getting married. This will ensure they look their best on your wedding day. And, of course, flowers are always a favourite when it comes to the wedding cake. 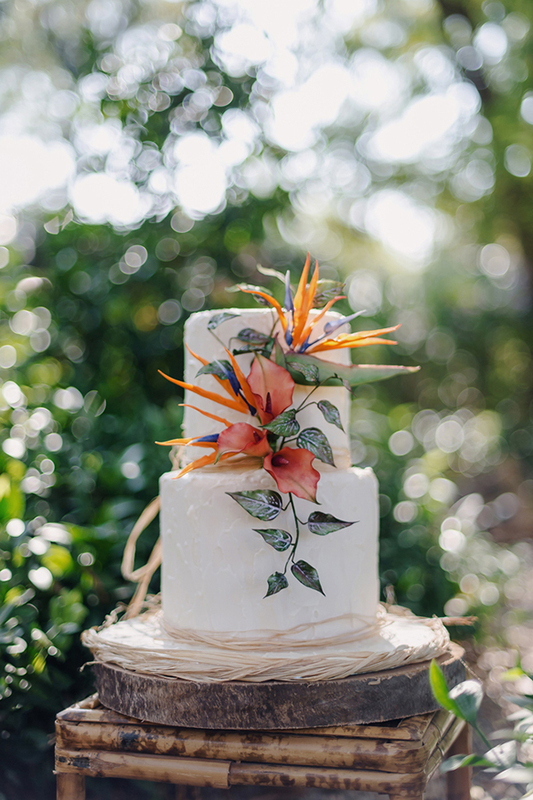 We're in love with this tropical cake, which includes stunning twine details. If you're in love with retro surf style and cute wooden beach huts, the rustic seaside style could be for you! Hessian and lace details, wicker furniture for your venue, and plenty of seashells will make this theme come to life. 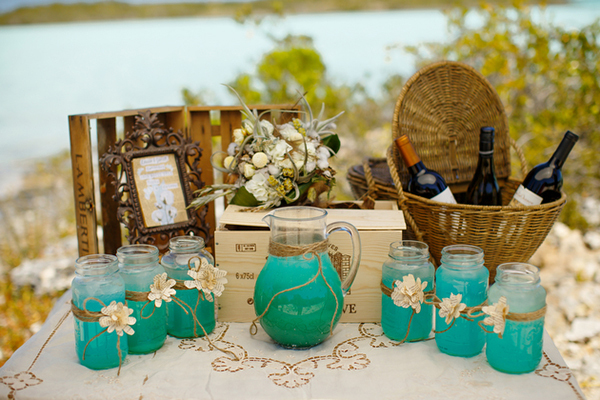 And how about some stylish aquamarine cocktails to keep guests cool in the sunshine? Just add bursts of brilliant blue-green to add the ocean to your rustic theme. Theme your favours to give guests a keepsake to treasure. 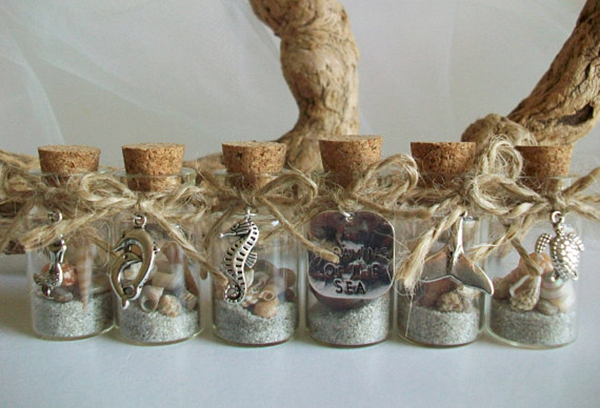 These cute glass bottles decorations, filled with mini-shells and sand, will remind guests of your wedding day. You'll also need some stationery to match. 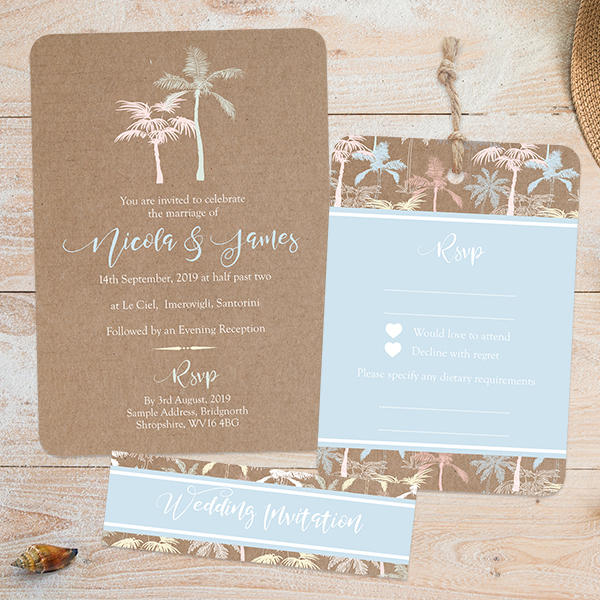 Kraft paper gives your stationery a rustic vibe, while palm tree patterns get everyone excited for beach fun.